Peace is imperative to the life of a believer. The abundance or lack of it will permeate every part of your life. Having an abundance changes how you view and respond to situations. When peace permeates your life, you no longer operate as a victim instead you live victoriously. In Assets of a Peaceful Woman, you’ll learn which steps to take everyday to cultivate a constantly peaceful life. Do you know how to tap into it and cultivate that life? If not this ebook is for you. -- If you’re struggling with burnout, stress, loss of sleep or hope this ebook is for you. -- If you’re not waking up in the mornings excited about the day, but rather dreading the burden of it all, this ebook is for you. 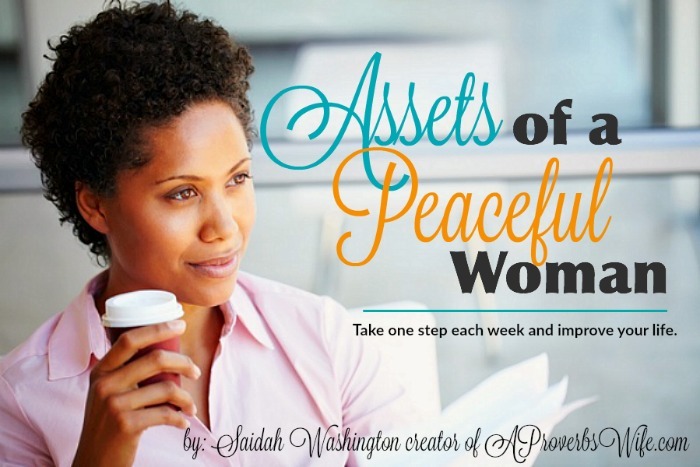 Assets of a Peaceful Woman is your battle strategy for obtaining and cultivating peace in your life everyday. Tap the "buy now" button to begin learning the strategies to cultivate the peaceful life you enjoy waking up to everyday.